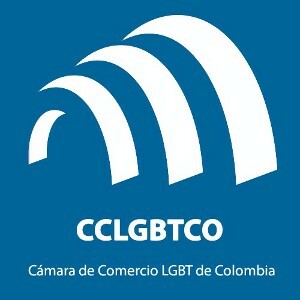 The CCLGBTco was created in September of 2012 in response to a clear market need to serve the LGBT Colombian population in the country as a new niche with purchasing power, consumption, trendsetter but also as a Referrer body on statistical information and advisory LGBT business for those entrepreneurs who require special and sensitive to their needs to achieve their goals support. The camera is aimed at those companies and Colombian Multinational, with open and inclusive mind that have made the decision to serve the LGBT community in their business plans with clear and tangible interest to market their products and services. With our Corporate Partners generate physical and virtual spaces of interaction where we facilitate the opening of business, trade relations at national and international level. The Association seeks to promote LGBT business sector through the following strategies: a. Grouping and support companies that are interested in developing the market for goods and products geared toward LGBT consumers b. Support and strengthen LGBT owned businesses are people, especially the / little as / as employer / as c. Promote Colombia as a tourist destination for LGBT people d. Promote Colombia as an investment destination for businesses targeting the LGBT community.